At Berg Engineering, we pride ourselves on pursuing the finest NDT equipment and bringing it to markets in need of innovative solutions. We’ve been doing it for over 40 years. We believe that by distributing this type of technology to critical markets like aerospace, power, and construction, we ultimately make the world a safer place. We couldn’t be more pleased with our latest announcement. We’ve formed a partnership with Italian firm GNR Analytical Instruments Group. That means we’re bringing exclusive sales, service, and support of GNR optical emission spectrometers to the United States NDT market. Optical Spectrometry: How Does It Work? Image courtesy of Kkmurray. Modified by Berg Engineering. Original file licensed under Creative Commons 3.0. BY-SA. On the simplest level, optical spectrometry for NDT is the practice of bouncing electromagnetic radiation off a test piece, splitting the diffracted radiation into spectral emission lines, and analyzing the resultant pattern to determine elemental composition of the test piece. 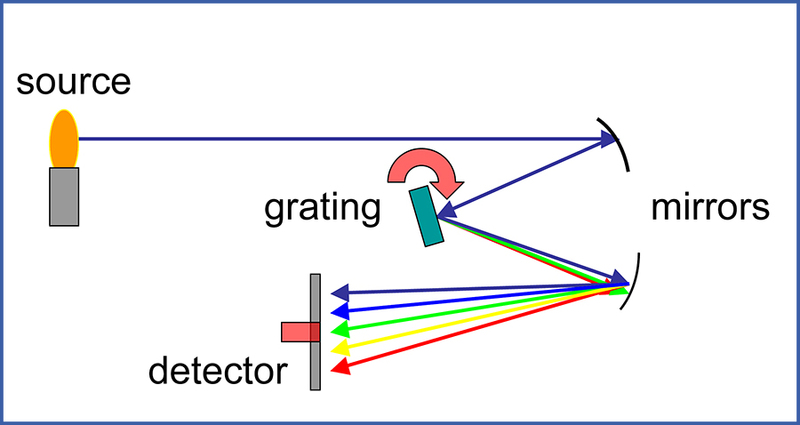 The basic mechanism of an optical spectrometer can be achieved with a variety of technological configurations. Optical spectrometry has many applications. For example, in astronomy, it is used to detect the presence of elements in distant stars. At Berg Engineering, however, we are most concerned with the use of optical spectrometry for NDT. Optical spectrometry provides precise positive materials identification and elemental analysis for metal alloys. It does so with an incredibly fast response time. One thing we love about NDT is the range of sectors that use it. Any one device may have several different applications in widely varying markets. In the case of GNR optical spectrometers, the company offers something for every scenario. Below are a few examples. You can find the full list of GNR spectrometers here. Ever solution from GNR offers a high-performance, quality product at a competitive price. The GNR E3 Esaport offers onsite analysis, PMI (positive materials identification), incoming inventory control, and metal sorting—all in a highly portable format that attaches to an optional four-wheeled hand truck. 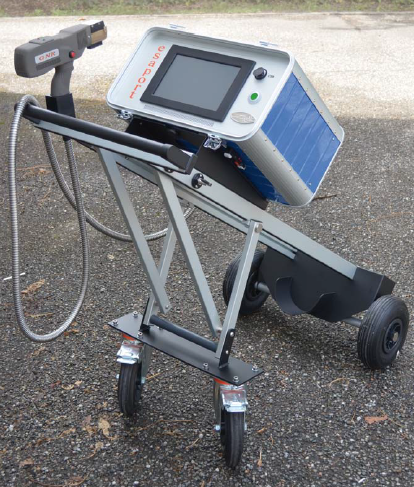 The scanning gun (included) is attached to the unit with durable tubing. This allows the operator to get readings in hard-to-reach places where other optical spectrometers are useless. For operations that need on-the-go materials identification and spectral analysis, the E3 Esaport presents a first-in-class package that is both highly portable and completely reliable. The GNR S9 Atlantis is a full-range optical spectrometer that combines the best of photomultiplier tube and charge-coupled device technologies. Whereas the E3 Esaport is designed primarily for high mobility, the S9 Atlantis is a full-range laboratory spectrometer offering a wide range of configurations. GNR has researched, built, and tested spectrometers for 30 years. The S9 Atlantis represents the culmination of all that expertise. The S9 excels at numerous tasks, including ongoing monitoring in quality control settings; routine analysis in process control; and delivering flawless results in highly demanding research and development projects. 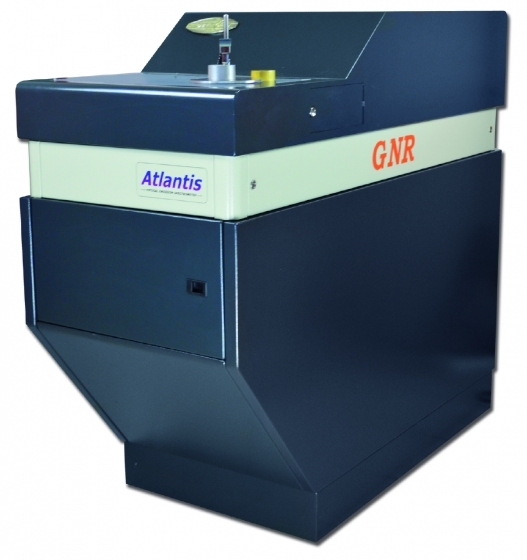 As GNR’s top-of-the-line spectrometer, the S9 Atlantis can detect and analyze all alloys typically found in the metal processing, mechanical, and foundry industries. It can detect iron and steel alloys (and traces), nickel alloys (and traces), and much more. It can also detect traces of non-metals in alloys, such as nitrogen in steel or oxygen in copper. The GNR S7 Metal Lab Plus is a scientific-grade CCD-based spectrometer offering top-of-the-line functionality, features, and reliability. It handles multiple matrix requests without error. Spark production is guaranteed stable with a PC-programmable HEPS (high energy pre spark) source unit which runs in multiple frequencies. Repeatability and precision of results is assured. The S7 Metal Lab Plus package is designed to keep testing options open. It can be configured to your organization’s immediate needs, and the initial configuration leaves room for you to upgrade in the future as your programs expand. The S7 is designed to be the only site-specific spectrometer you will ever need. GNR Analytical Instruments was founded in 1984 in Milan, Italy, when Mario Gungui and Antonio Nigro took over OPTICA SRL, a longstanding European maker of analytical instruments. The new owners worked quickly to surpass Optica’s aging product line with solutions that used the latest in technology. This commitment to innovation has sustained GNR through 30+ years in the business. The company is now a world leader in OES (optical emission spectrometry). 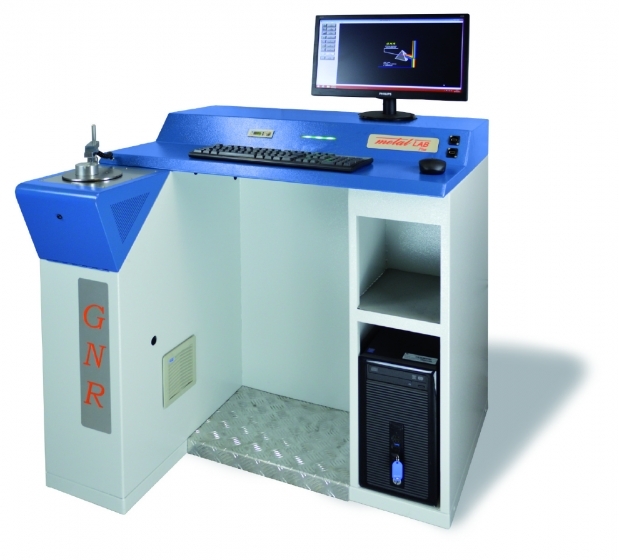 Acquisitions in the 2000s allowed GNR to add XRD and XRF technologies to its list of core competencies. GNR continues to reinvest a portion of its annual revenue into research and design, allowing continual improvement of a product line that already leads the market. The result is a company that offers the most reliable solutions in XRD, XRF, and OES analytical instruments—at the right price. It’s high time that the US market has access to GNR’s world-leading optical emission spectrometers. We’re pleased to offer full sales, service, and support of GNR’s spectrometry line. If you have any questions about which optical emission spectrometer is right for your application, please contact our customer service department. Our highly-trained staff is ready to guide you through the process of buying the right equipment for the job.